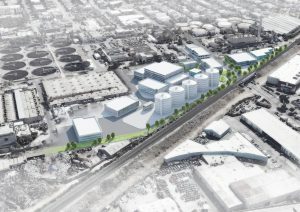 BROOMFIELD, Colo., August 2, 2017 – MWH Constructors, a leading global construction firm focused on water and energy, and joint venture partner Webcor Builders have been awarded a $939 million contract by the San Francisco Public Utilities Commission (SFPUC) to serve as construction manager/general contractor (CM/GC) for the Southeast Water Pollution Control Plant Biosolids Digester Facilities Project. The Southeast Water Pollution Control Plant (SEP) was built in 1952 and is SFPUC’s largest wastewater treatment facility, treating 80 percent of San Francisco’s sewage and storm water flows. 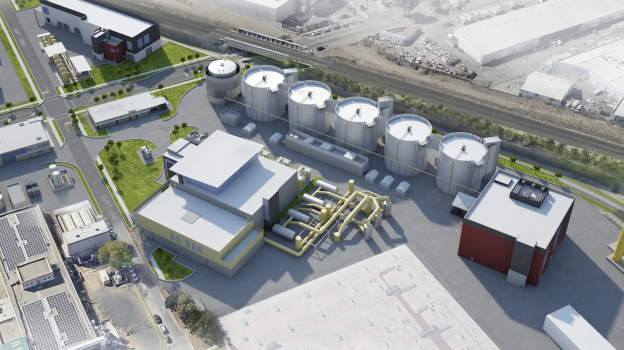 The Biosolids Digester Facilities Project (BDFP) aims to replace existing digester facilities with new, expanded, reliable, modernized and relocated facilities, as well as improve energy recovery and maximize control of odors. The BDFP is one of the first projects in the U.S. to use the Cambi Thermal Hydrolysis Process (CambiTHP™). ). The CambiTHP™ will enable the new facilities to produce higher quality biosolids, capture and treat odors more effectively, and maximize biogas utilization and energy recovery to produce heat, steam and energy. Construction is expected to begin in summer 2018 with the facility becoming fully operational in summer 2025. The project will be constructed in two parts to allow for continued use of the facilities. Part one includes demolition and site preparation of the eastern portion of the SEP and existing asphalt plant, and construction of new facilities on the site. Part two involves demolition of the Central Shops and western portion of the SEP, with final completion of the new Biosolids Digester Facility following. As the third largest municipal utility in California, SFPUC provides more than 2.6 million residential, commercial and industrial customers with high quality, efficient and reliable water services. The BDFP is part of the Sewer System Improvement Program (SSIP), a 20-year, multi-billion-dollar citywide investment to upgrade aging sewer systems that aims to ensure a reliable, sustainable and seismically safe sewer system into the future.